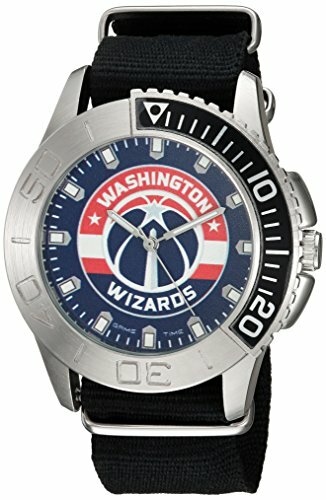 Washington Wizards water resistant watch. This Wizards men's sports watch features a stainless steel case back with a Nylon strap with sunray dial, Japan quartz movement, and is water resistant up to 3ATM (99 ft.). Fits wrist size 7.25-8.25 inches.